is intense, and the lifestyle this career delivers is exciting. 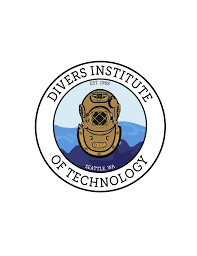 The basic requirements for becoming a commercial diver include a high school diploma or equivalency, applicants must be 18 years of age and proficient in English, reading and writing. Applicants are also required to pass a diving physical and obtain a TWIC card. An ideal candidate should have good swimming skills, and a mechanical sense. Previous experience with welding is not required. Previous underwater diving experience is also not required, but it is helpful. Commercial diving is a growth industry. There is growing demand for commercial diving jobs in the United States to maintain and repair hurricane damage to oil rigs in the Gulf of Mexico, inspect and repair of bridges in both fresh water and open water, and many other infrastructure projects that can no longer be deferred. International demand for commercial diving is on the rise as well. The starting annual pay for a commercial diver is estimated to be in the $40,000 to $60,000 range, and as of May 2011 the median hourly wage was $25.26 and the median annual wage was estimated at $52,550. As a diver gains experience, some can expect to see wages closer to the $90,000 to $100,000 mark. A commercial diving career is often physically demanding. A diver can expect to be out at sea working for anywhere from two to six weeks at a time, and probably working at least 10-hour days. As for career planning, employment for commercial divers can be found in a variety of industries including shipping, oil, power and construction companies and in settings like drilling rigs, oil refineries, power plants, bridges, and more. Visit our website for answers to other frequently asked questions about getting an education and starting your career in commercial diving. Become a Commercial Diver Today!